Enjoy the beauty, charm and romance of an escape inspired by the famed seaside village of Portofino, Italy. Here, perfectly appointed rooms and suites welcome you home each day. Tasty outdoor cafes and a serene harbour invite you to explore the colourful piazza. A short stroll from the harbour, three amazing pools offer every level of relaxation. A soothing spa promises blissful renewal. Every day and night, stylish lounges let you unwind and incredible restaurants treat you with deliciously delightful culinary tours of Italy. This is truly la dolce vita—the sweet life. SKIP THE REGULAR LINES with FREE† Universal Express Unlimited™ ride access including your favourites in both lands of The Wizarding World of Harry Potter™. PRIORITY SEATING at many restaurants throughout Universal. Located approx. 20 minutes from Orlando International Airport, 50 minutes from Sanford Airport, and on-site at Universal Orlando Resort™, like we said before when you stay at Cabana Bay Beach Resort you are literally in Universal! 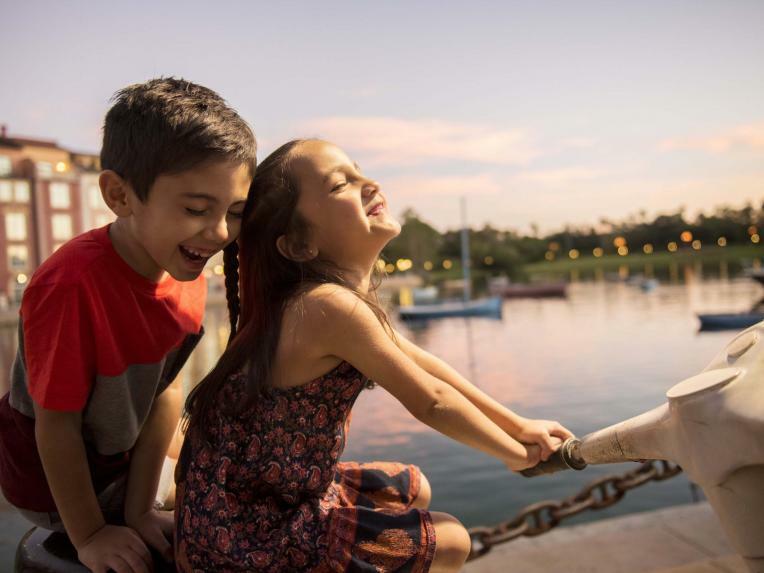 You can use the walking paths or take a short shuttle ride and be at the parks or Universal CityWalk™ in minutes. 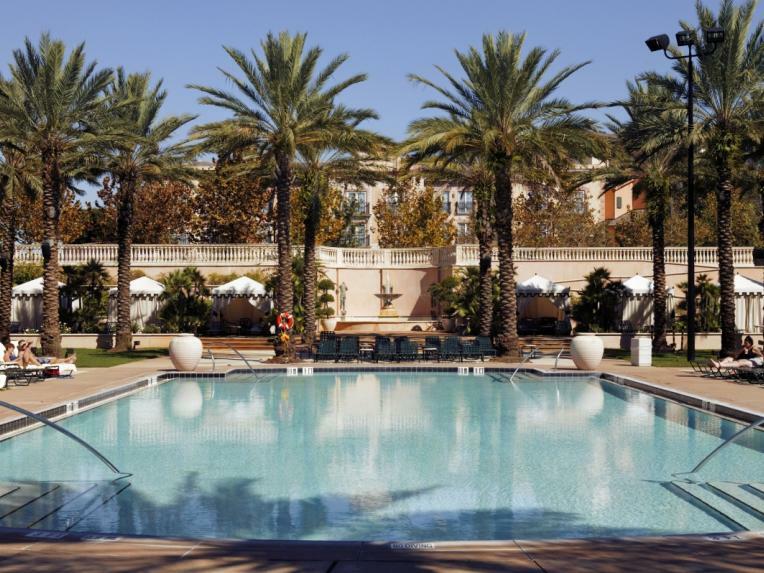 Plus you are really close to everything else Orlando has to offer too. Here you are right in the heart of the action. Parking in the Universal Orlando car park costs $12 per day. For an extra $5 you can have a ‘preferred’ parking space, or go for the VIP treatment and valet park for $20 per day. But if you arrive after 6pm, the cost of parking is only $3, and night owls who show up after 10pm can park for free. After a long, hard day of adventure, you deserve a drink. This stylish lobby lounge serves up American spirits, European cocktails, and Italian grappas, along with enticing hors d'oeuvres and appetizers. 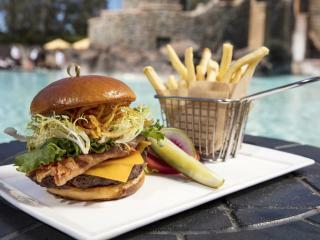 Choose from casually sophisticated fare including Black Angus burgers, flatbreads and more while you sip your selection from the extensive list of champagne, wine, scotch, bourbon, whiskey, beer, cognac and signature cocktails. Whether you stay just a moment or an entire evening, you'll enjoy the elegant ambiance this bar has to offer. The network of Bice restaurants spanning the globe today began in 1926 in Milan, when Beatrice Ruggeri (Bice, to her family and friends) transformed her incredible home cooking into a beloved, booming restaurant business. 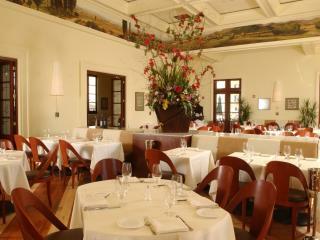 Today, Bice Ristorante offers Northern Italian cuisine and superb service in an elegant atmosphere. Fresh pasta is rolled daily to create the authentic menu of exquisite dishes, from seafood fettuccini to veal scaloppini and beyond. A children’s menu is also available. Remember to save room: A pastry chef crafts decadent desserts like tiramisu and limoncello cheesecake each day. Indulge in a time-honoured Italian tradition with creamy, artisan gelato by the bay. Enjoy decadent milkshakes, flavourful smoothies, tempting biscotti, and specialty coffee and espresso from this classic shop. You're always welcome at Mama's, where hospitality is a time-honoured tradition. 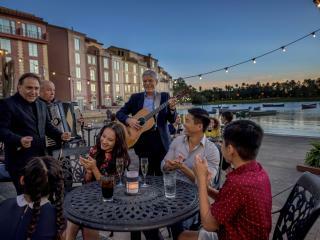 Take a seat by the fireplace and enjoy the sounds of strolling musicians. The menu features authentic dishes from Tuscany, Naples, and Piemonte, plus family dining house specialties like Insalata Mama Della and the best lasagna this side of Sicily. Complement your meal with an extensive wine list and save some room for coffee, tiramisu, and cannoli. Just steps away from the harbour, this local market features the warmth of a neighbourhood delicatessen with the added character of Old World accents. Stop in for lunch or dinner and choose from a comforting selection of Italian staples like handmade pizzas, sandwiches, salads, meats, cheeses, and fresh fruit. Enjoy your meal with a glass of wine or Italian beer at marble-topped booths inside, picnic outside on the piazza, or place your order to-go for a quiet night in. The Italians have a long-standing love affair with coffee. After all, the beloved beverage was first introduced to Europe through Venice centuries ago. 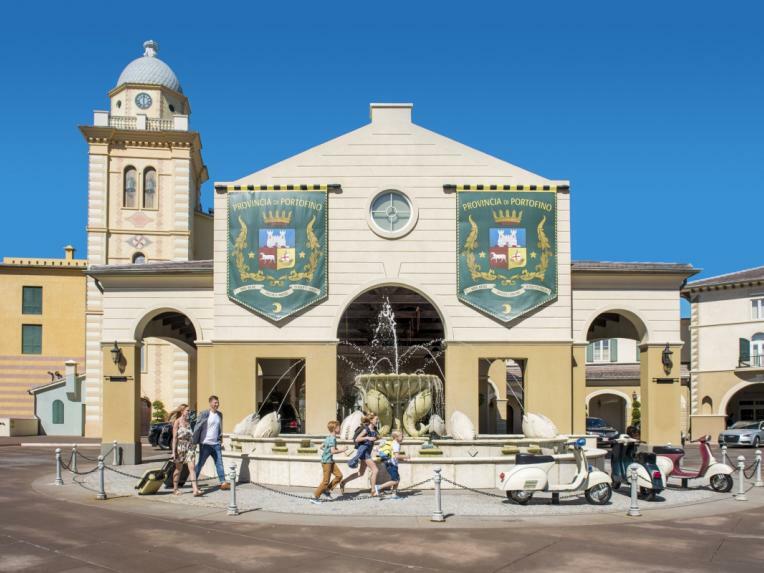 To honour the tradition, Loews Portofino Bay Hotel has baristas serving up Starbucks Reserve® coffees with the exclusive Clover® brewing system at this shop on the Harbour Piazza. With an international network of more than 20,000 stores, Starbucks is the premier roaster and retailer of specialty coffee in the world. But they're beloved for more than just java: A menu of pastries, sandwiches, teas, smoothies, and more gives guests enough choices to make each visit especially satisfying. Stop by for a morning boost or afternoon pick-me-up. 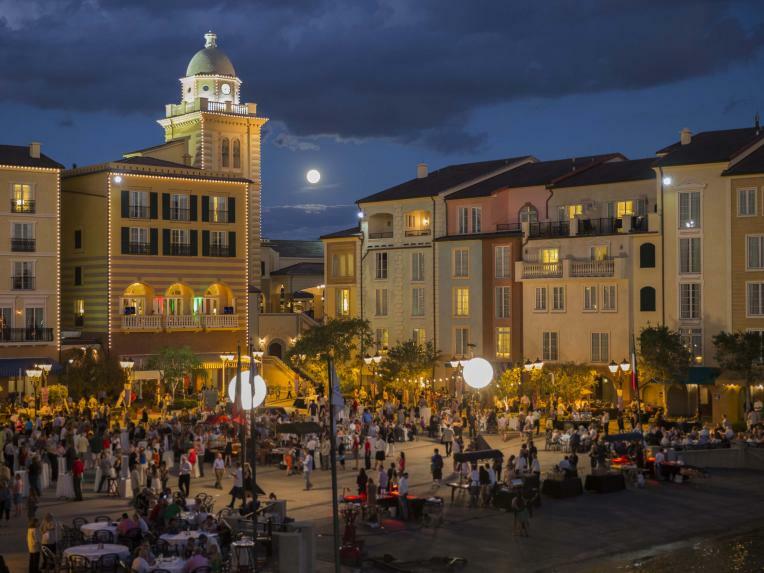 Watch the sun set over the bay at this casual waterfront bar located on the Harbor Piazza. 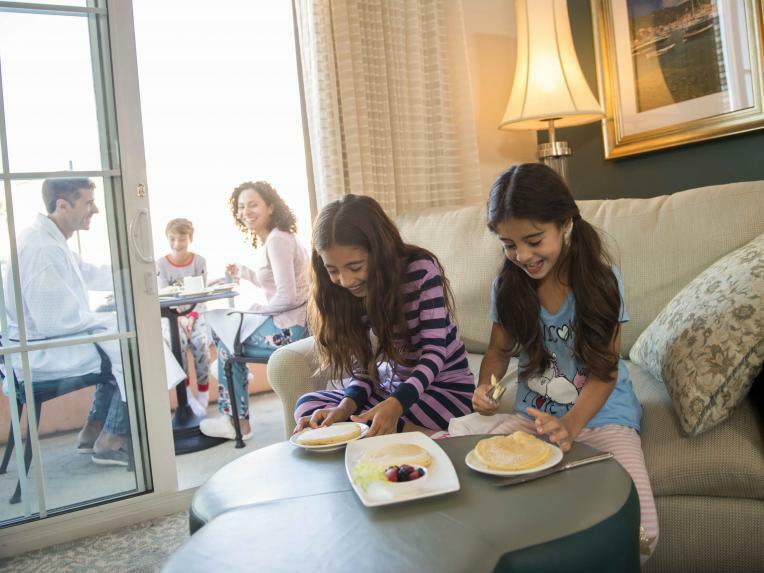 Unwind and catch up with the family as you sip and snack. You'll find champagne, beer, wine and cocktail menus as well as assaggini (small plates) of shrimp, hummus, meats and cheeses. For family-friendly fare with a touch of Italian charm, head to this casual full-service restaurant where you can dine indoors or out overlooking the picturesque harbour. Little ones will love the children's play area with smaller tables and chairs, beanbags and a large TV showing cartoons. Start your morning right with a breakfast buffet of hot dishes, baked goods, fruit, coffee and custom omelettes. 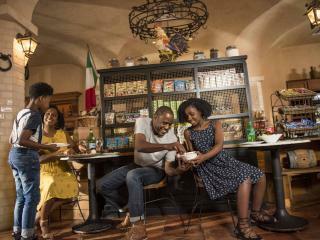 Dinner brings a menu of soups, salads, small plates, steak, fish, pasta, Italian fare and more. And you won't want to skip dessert: An in-house pastry chef creates mouth-watering Vanilla Bean Crème Brûlée, Chocolate Volcano cake and more. †Valid at Universal Studios Florida and Universal’s Islands of Adventure. Not valid at Pteranodon Flyers™ at Universal’s Islands of Adventure. Excludes separately ticketed events. 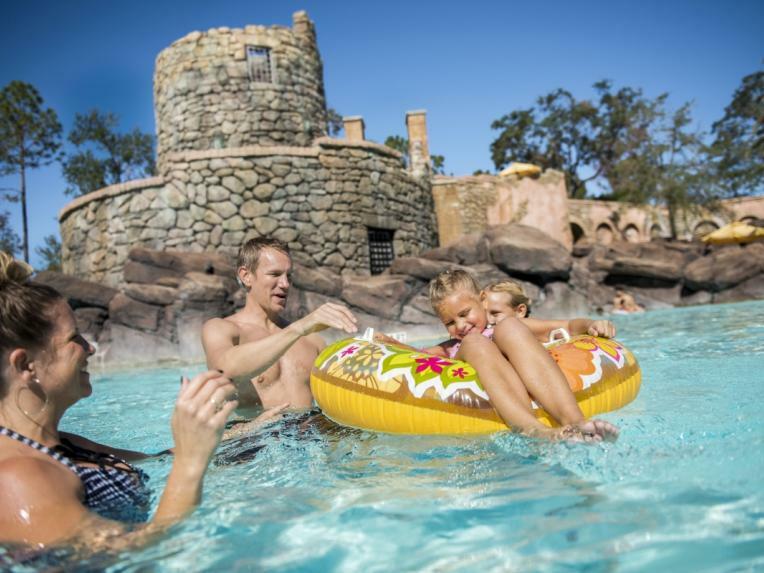 Benefit valid only for guests of Loews Royal Pacific Resort, Hard Rock Hotel® and Loews Portofino Bay Hotel, for the number of guests staying in the room for the length of hotel stay. Available during normal theme park operating hours only. Additional restrictions may apply and benefits are subject to change without notice. 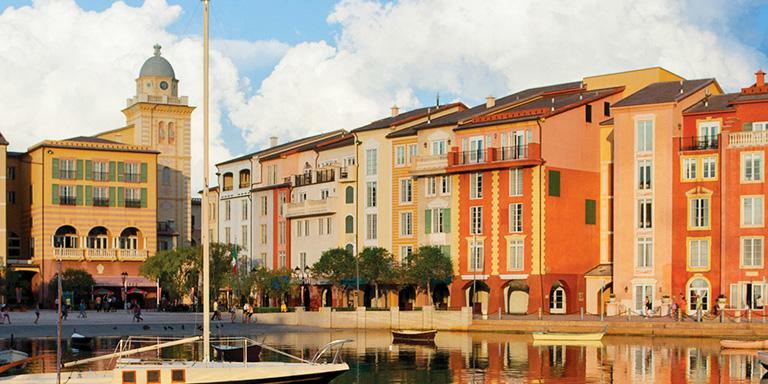 Portofino Bay Hotel TM & © 2018 UCF Hotel Venture. All rights reserved. Universal elements and all related indicia TM & © 2018 Universal Studios. All rights reserved.